In a framed print on his wall, Fred Rogers prominently displayed his favorite quote “L’essentiel est invisible pour les yeux.” What’s essential is invisible to the eye. It’s a line from the wonderful children’s book The Little Prince by Antoine de Saint-Exupery. Why did he like this quote so much? What did it mean to him? Well, as a child Fred Rogers was viciously bullied. They called him “Fat Freddy” and often reduced the sensitive little boy to tears. Because of his appearance, other students didn’t understand or even notice his special qualities—just what a rare and kind soul he carried with him. Only with time would this become apparent and appreciated, and so as part of his mission as the host of Mr. Rogers‘ Neighborhood, Fred Rogers was deeply committed to looking for, and seeing, what was special and essential in life and in every person he talked to. 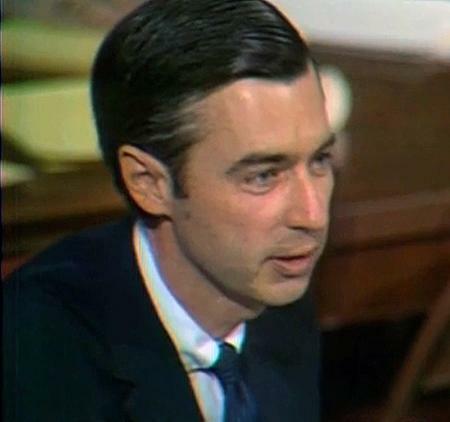 As he said, “I began a lifelong search for what is essential, what it is about my neighbor that doesn’t meet the eye.” Although Mr. Rogers was not a Stoic (in fact, he was Presbyterian minister), his commitment to ignoring the superficial and really searching inside his fellow men (or children) is deeply Stoic. Remember, Epictetus says that we must put every impression to the test—and that includes our snap judgments of other people. That they have tattoos or come from a lifestyle different than ours or have a made their share of mistakes, this is not what is essential. What matters is other people’s character, their essence. And this essence is not immediately visible to the eye, it must be searched for and felt. The same goes for life itself—the trappings that other people value are usually the most glittering and obvious. But wealth, fame, power, these matter very little. They turn to dust like everything else, which is why we find again that it’s character and joy and peace that matter more. They’re harder to see, but they matter more.